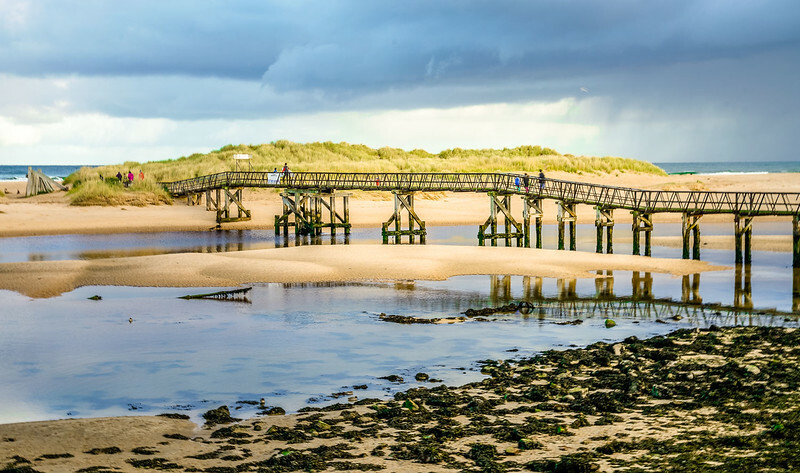 With everything from dramatic history to spectacular landscapes, Scotland is bound to enchant you. It certainly did that to us! We want you to visit Scotland and have a great trip. We also want to help you make a good impression and avoid embarrassing yourself. 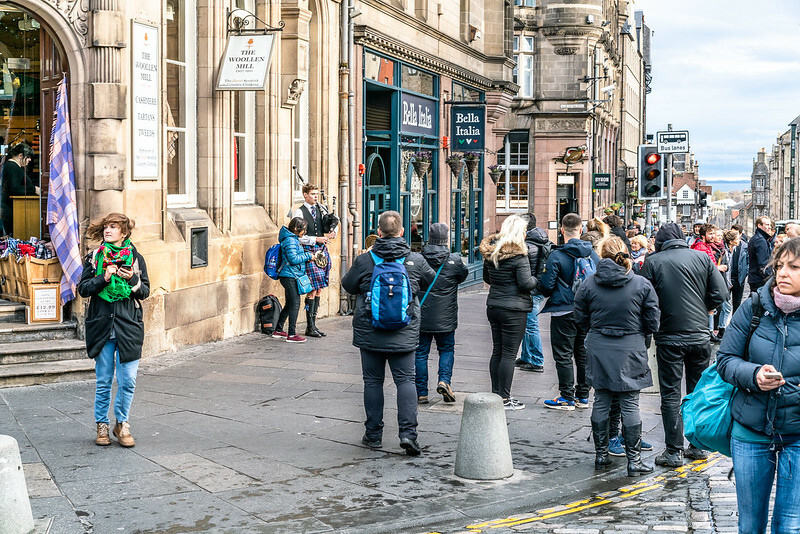 So here are some interesting facts and things you should know before visiting Scotland for the first time. Scotland is not part of England, but a separate nation with its own heritage, history and culture. So when visiting Scotland, avoid making any generalizations that group the Scots with the English. Likewise, never call a Scottish person “English.” It’s insulting and shows your ignorance. Scotland united with England in 1707. Before then, Great Britain didn’t exist. Tip: Scotland recently held a referendum on whether it should secede from Great Britain and become an independent country again. They voted to stay in the United Kingdom, but the result was close. This is a sensitive topic, and one that should be avoided at all costs. 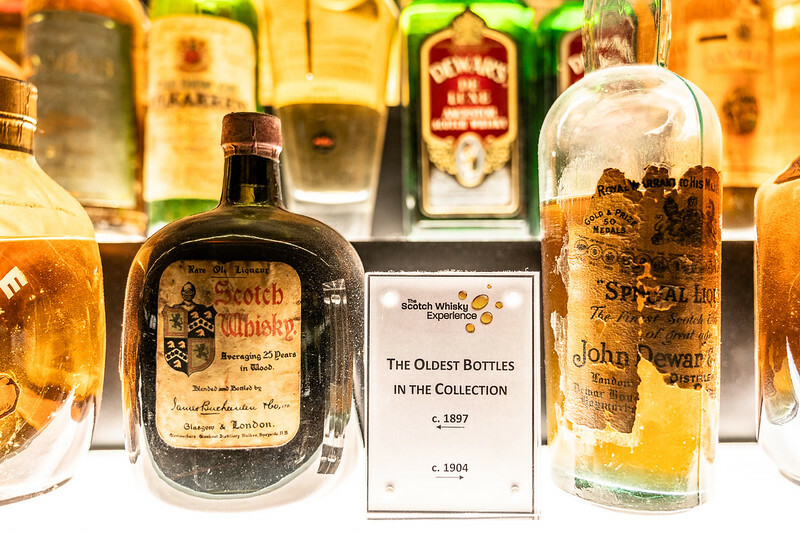 People from Scotland are Scots (noun) or Scottish (adjective) Use the word Scotch when you’re talking about things that are of Scottish origin, like Scotch tape and Scotch whisky. Don’t be shocked if you can’t understand them the first time. They have a thick accent and use unique phrases, and they know it. If you can’t grasp what they’ve just said, most will be happy to slow down and repeat it. Scotland’s capital is Edinburgh. Don’t pronounce it as Ed-in-burg or Ed-in-bor-row. Scots pronounce it as Ed-in-burr-a … or maybe Edin-bra. The main shopping street is Princes Street. It’s named after the royal sons, so don’t call it Princess Street. In Scotland, you’ll hear words like aye (yes), nae (no), wee (little) and loch (lake). Ben and glen are not men’s names, they mean mountain and valley, respectively. If you want to strike up a conversation with a local a good way to start is to make some casual observation about the weather. e.g. “sunny today isn't it?”, “shame about the rain”. If you’re invited to someone’s house, bring something as a gift. This can be a bottle of whiskey. There’s no table service at pubs; you order food at the bar. You also pay for drinks when you order them. If someone offers to buy you a drink, it’s courtesy to accept. It’s also customary to buy a round in return (stand your round), and everyone is expected to take part. The next round should always be bought before the previous round is finished. As one person put it, no matter how much you’ve had to drink, avoid talking football, politics, or religion. If you do, you may end up in a passionate argument with some of the most opinionated people on the planet. Please keep your volume down. Talking too loudly in public is considered offensive and embarrassing. Besides, no one needs to hear your conversation. 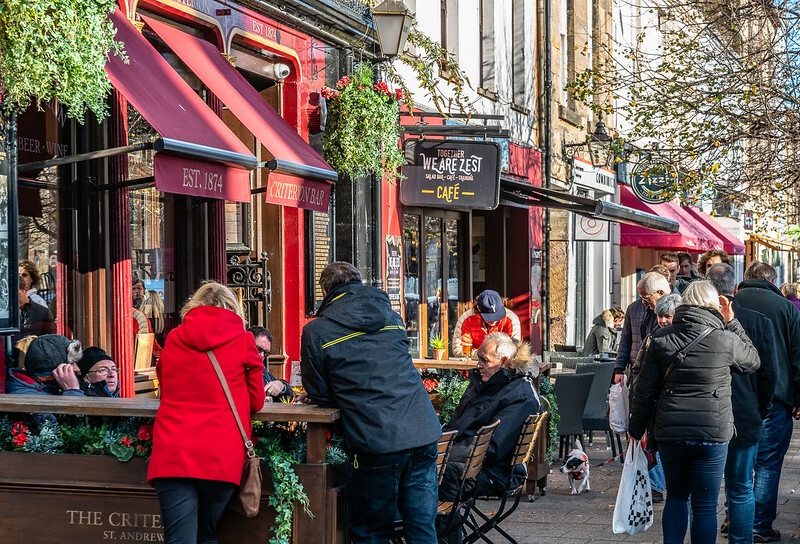 Whether ordering drinks or at a shop, it’s considered extremely rude to barge to the front of a line for faster service. Scots are very respectful when standing in lines, so please wait your turn. They also try to avoid any “small talk” while waiting, so as not to disturb others. Similarly, no one cares about your pedigree. If you can trace your family heritage to Scotland, join the club. There are millions like you, and no one is going to be impressed. 9. Most people don’t wear kilts. 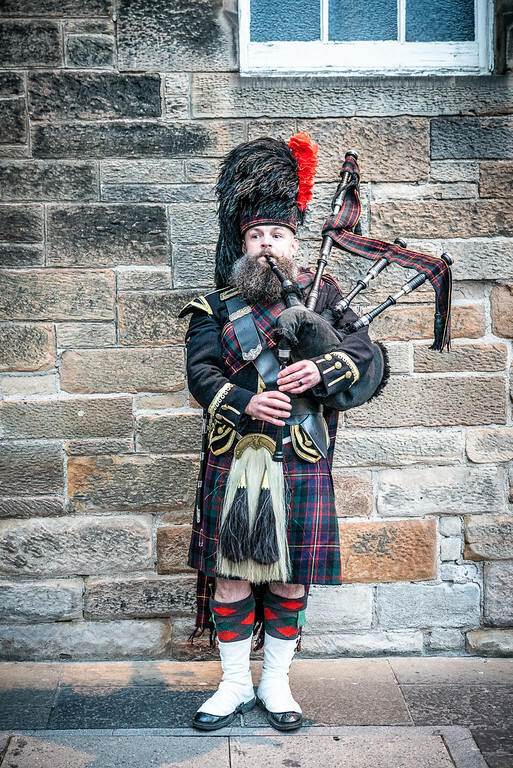 While it’s not unusual to see someone dressed in a kilt in Edinburgh, Scottish people generally save their kilts for special occasions, such as weddings or ceilidhs. It takes a lot of practice and skill to become a talented bagpiper. If you see a bagpiper on the street and stop to enjoy his music or take a photo, show your appreciation by leaving a tip. Street performers earn their living by … well, performing. Think of it this way: How would you feel if you spent a whole day working and someone decided not to pay you? Elephant House advertises itself as “the Birthplace of Harry Potter,” but the truth is that JK Rowling visited several cafes when writing Harry Potter. Logically, it is far more likely that she spent more time around the corner at Nicolson's Cafe, which was owned by her brother-in-law. It’s now called Spoon Cafe Bistro. You’re welcome. Beware of fakes along Edinburgh’s Royal Mile and elsewhere. 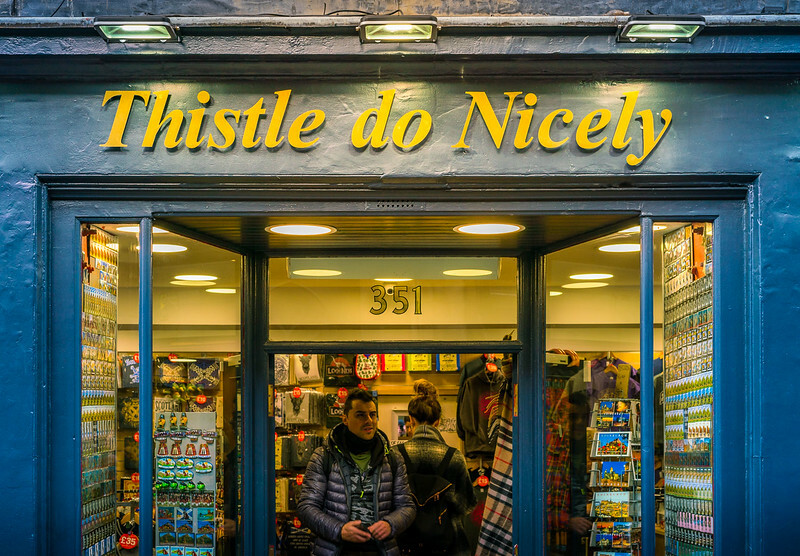 Avoid shops displaying Loch Ness monster statues, “I love Scotland” t-shirts, or “souvenir of Scotland” boxes of shortbread. Also steer clear if you hear bagpipe music blaring out onto the street. Most of the stuff in these shops is made in China. 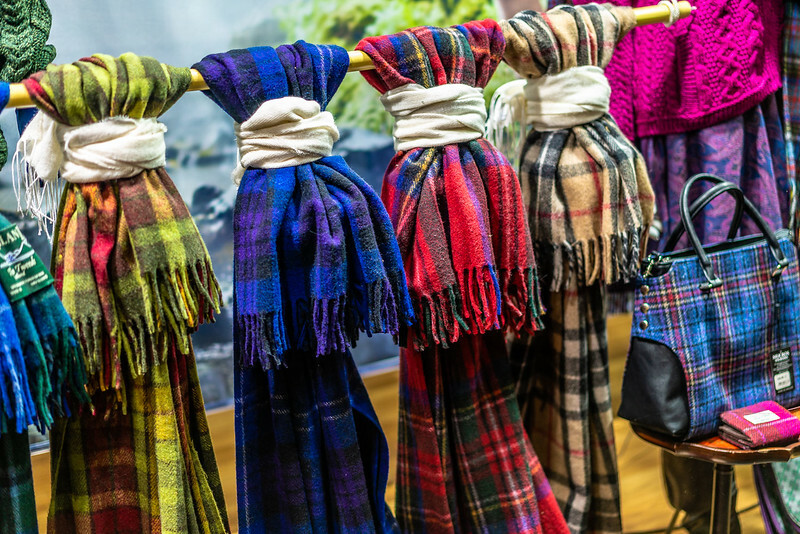 You’re more likely to find quality items that were actually made in Scotland at smaller places that are off the high rent, tourist track. Every August people flock to Edinburgh for its many arts and cultural festivals, such as Edinburgh Festival Fringe. 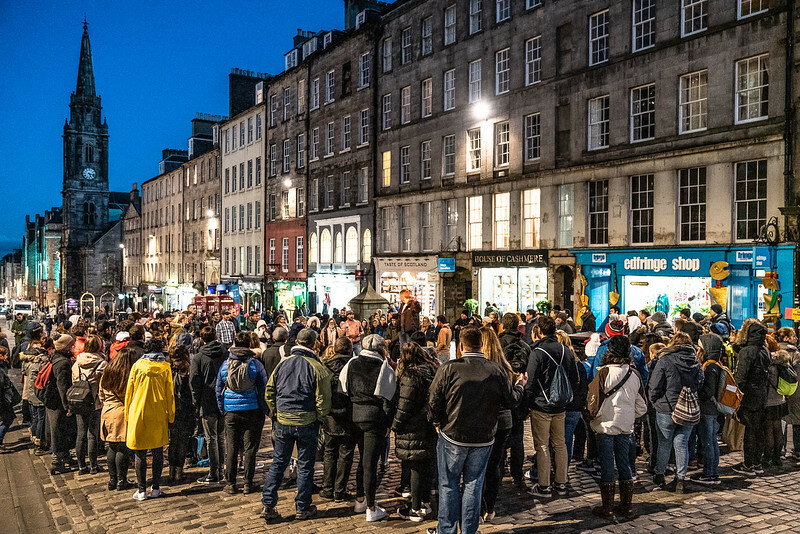 For a full month, the city streets, cafés, and hotels overflow as thousands of tourists descend for a month full of theater, comedy, and music. Tip: Hotels are in high demand and prices are particularly high in August. If you just want to visit tourist sites, choose a different month or consider staying in Glasgow. Trains run regularly and the trip is only one hour long. If you’ve never sampled this Scottish delicacy, then you’re in for a real treat! Haggis usually comes with “neeps and tatties” as a side dish (a.k.a. mashed turnips and mashed potatoes). Think of it as a type of sausage: a mixture of onion, oatmeal, sheep’s pluck (innards) and spices, all stuffed inside a skin casing and fried. And please don’t let the thought of eating organ meat intimidate you, because you’ve already done it. After all, what do you think they put in hot dogs and sausages? 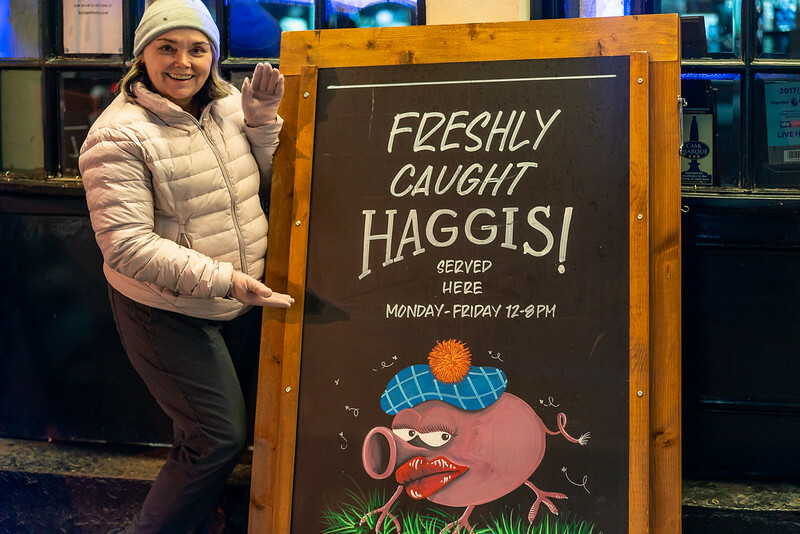 Tip: If you're in Edinburgh, Scottish food tours (like this one) will guide you to the best haggis in town. If you're elsewhere in the world, you can try haggis on Burns Night (January 25th). 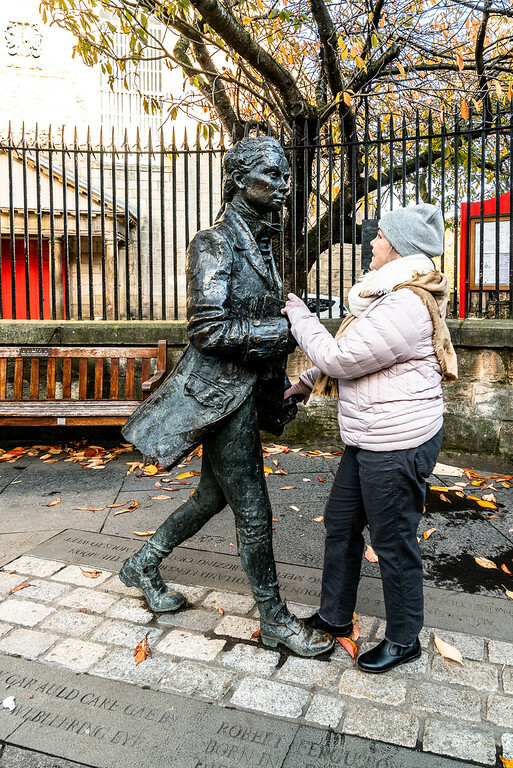 Many places hold this celebration in honor of Scottish author and poet Robert Burns. 15. Scots leave a tip … sometimes. Tipping is not mandatory in Scotland and Scots wouldn't dream of tipping at a pub. That said, it’s customary to tip 10% in restaurants. Tour guides and hotel staff appreciate gratuities. These are tourist services and it is often expected. 16. William Wallace is a national hero. William Wallace led his countrymen to fight for Scottish independence until he was convicted of treason in London and sadistically executed. However, he didn’t look like Mel Gibson and he was never called Braveheart. 17. The midges are a nightmare. Midges, or “midgies,” as the Scots call them, can be a real nuisance, especially in the Highlands. Americans call these tiny biting flies “no-see-ums” for a reason. A cloud of them will appear anytime the wind drops below 5 mph, so carry some insect repellent with you during midge season. In severe cases, you may even need a head net! 18. If you don’t like the weather, wait a minute. Scotland has incredibly changeable weather. The Scots like to say that you can experience all four seasons in one day. Brilliant sunshine can turn into torrential rain in a matter of moments, and balmy temperatures can quickly turn frigid. Prepare yourself by dressing in layers – even in summer. You may want to carry a raincoat and wear waterproof shoes. And forget about umbrellas if it’s windy. Useless. Tip: If you plan to hike, bring proper hiking equipment, including a map. And only go as far as you can safely navigate back. 19. Some areas take their Sabbath seriously. In some parts of Scotland, such as the western isles, you won’t find a Sunday paper or an open shop anywhere. Tourist places may be open, such as hotels and bars, but some places may have reduced hours. Most buses in Edinburgh don't give change. If you don’t have the correct fare ready, you are going to lose a few pence. You’ll find the bus fares displayed at most bus stops. If you plan to use public transportation to travel around Scotland, take a look at the ScotRail Travel Pass. The pass covers most trains, buses and ferries, and allows for multiple travel days. Autumn is the best time to visit Scotland, when the heather is blooming and the kids are back at school. Whether you’re in Scotland for city culture or outdoor activities in the highlands, we're sure you’ll make even more discoveries. So if you have other Scotland travel tips, please share them in the comments. 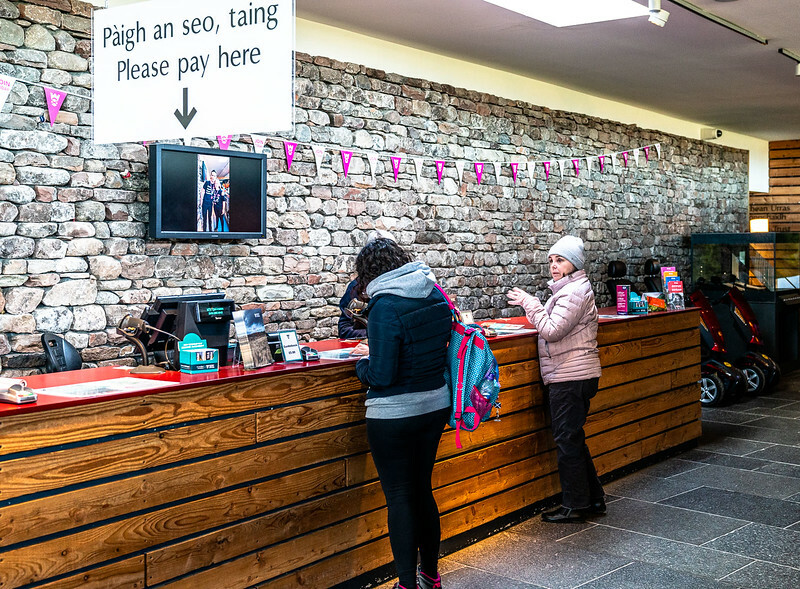 Tourism authority: Scotland’s tourism website has many useful trip planning resources. The code for Scotland’s international airport is EDI. I loved reading your post and learned a lot from it. You truly have a sense of humor: “the Scottish speak English, but you’ll have to get used to it.” I’d love to visit Scotland, but I’ll make sure to avoid the midge season. Not fun having to carry insect repellent all around. Haha – thanks, Anda. You’ll be happy to hear that you only need to worry about midges if you’re hiking in tall grass. Or at least, that’s what we’ve been told. Thanks for the tips! I haven’t been to Scotland yet but it’s definitely on my list! I know what you mean by the accent. Pretty strong as I have a few blogging buddies from Scotland. Ok, but here is a great question… Which is the hardest to understand? Cockney, Scot, or Irish?